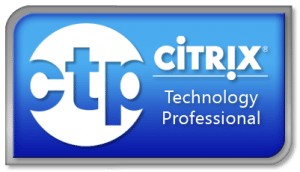 One of the main drivers behind a joint AppSense and Citrix solution, is to enable and adopt a Desktop Transformation project, such as a Citrix XenDesktop environment, faster, with less risk & disruption, at lower cost and with maximum user acceptance. Best practice and the first step in transforming your existing desktop to a low-cost, dynamic Citrix XenDesktop is to virtualize the user first, separate them along with all of their information from the existing platform, swap out and move to Windows 7 on Citrix XenDesktop, then re-apply the user and all of their relevent settings and data to the new environment. 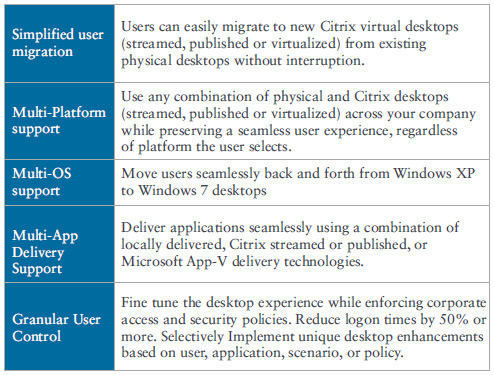 This best practice to ‘Simplifying Desktop Transformation’ can be seen in the Citrix and AppSense White Paper within the Citrix Desktop Transformation Model: AppSense User Virtualization – Extending the value of Citrix and forming a strategic component of the Citrix Desktop Transformation Model (DTM), which can be downloaded from Citrix.com here. 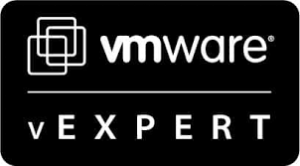 Upon reading the White Paper and when you are ready for your next steps in Desktop Transformation, you may be interested in the joint Citrix and AppSense Proof of Concept Kit, details of which are also in the paper in the ‘Further information and next actions’ section. 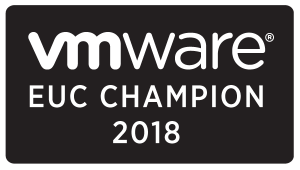 I hope this is of help and provides insight on managing the user component of the desktop as part of your Citrix Desktop Transformation Model, please let me know if you have any questions or would like any further information.